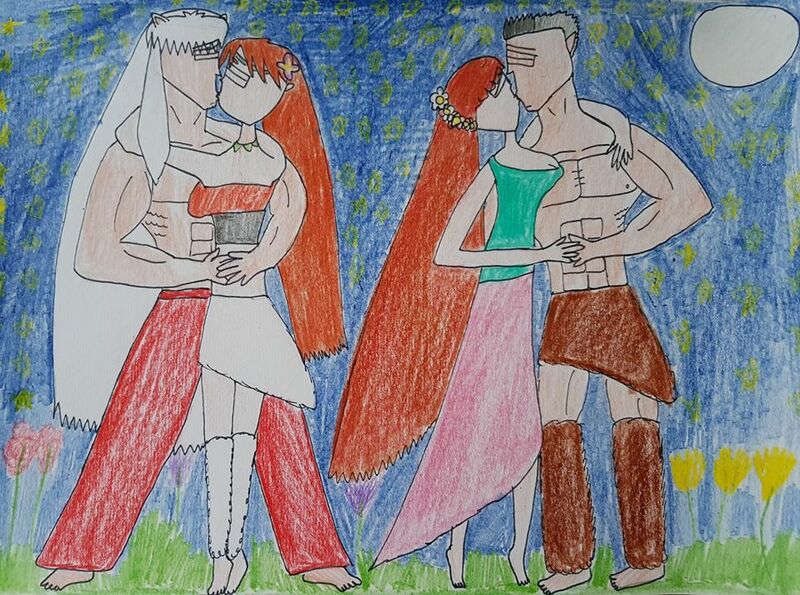 Favorite duet from one of my most favorite French operas aside, here are my most beloved Inuyasha OTPs, Inuyasha/Ayame and Ginta/Shunran, having a really romantic moment in a moonlit flower field. I swear, I enjoy shipping the pants off of Inuyasha and Ayame and Ginta and Shunran like there’s no tomorrow, they are truly meant for each other! I will admit that I am not a fan of drawing kissing scenes, given how difficult they can be to illustrate. 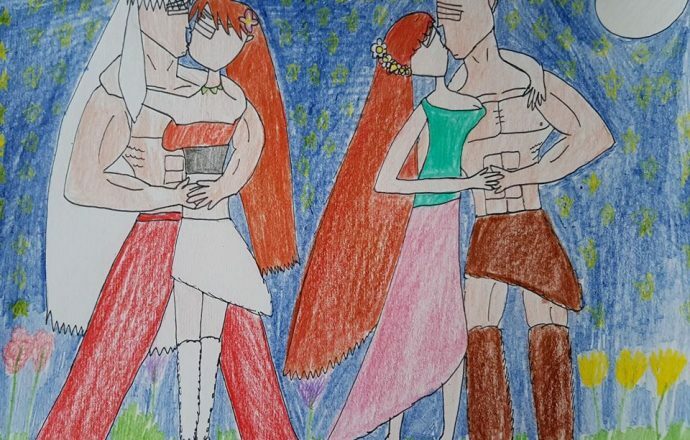 However, for what this was worth, I have to say that the experience I had doing this was kind of worthwhile especially with my favorite Inuyasha OTPs of all time. Inuyasha, Ginta, Ayame, and Shunran from Inuyasha belong to Rumiko Takahashi.